Mark Daly provides an update on the key developments in refugee and non-refoulement law. The Unified Screening Mechanism (“USM”), which is a more comprehensive (and long overdue) screening mechanism for assessing claims for non-refoulement protection inclusive of torture, cruel, inhuman or degrading treatment or punishment and/or persecution, is a welcome development that marks the beginning of a new area of law in Hong Kong. However, this new development is not without issue. Due to the way the USM was developed, a number of concerns have been raised. The legal profession, specifically, has expressed a number of concerns because the USM was set up as a reactionary response to two Court of Final Appeal cases, namely C & Ors and Ubamaka. 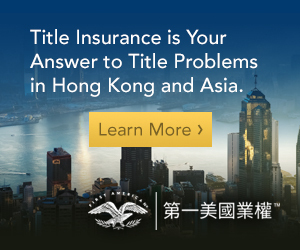 While tracing the recent developments in refugee and non-refoulement law in Hong Kong and the historic introduction of the USM by the Hong Kong, SAR Government (the “Government”), this article evaluates many concerns raised about the USM, including whether it places undue pressure on the courts to ensure and improve the system’s fairness. (c) giving weight to any determination conducted by UNHCR is required independently to determine whether the claim is well-founded, obtaining relevant information and materials and satisfying the high standards of fairness required. A few months earlier, on 21 December 2012, the CFA had ruled in its judgment in Ubamaka Edward Wilson v Secretary for Security (FACV 15/2011) (“Ubamaka”) that the rights under Art. 3 of the Hong Kong Bill of Rights Ordinance (the “Bill of Rights Ordinance”), which reflects Art. 7 of the International Covenant on Civil and Political Rights (the “ICCPR”), are non-derogable and absolute and not limited by s. 11 of the Bill of Rights Ordinance (the reservation). Therefore, where such non-refoulement protection is claimed, the DOI is under a duty to determine whether a person subject to removal faces a genuine risk of being subjected to torture or cruel, inhuman or degrading treatment or punishment prior to exercising the power of removal. These recent major legal developments were preceded by and built upon the CFA ruling in Sakthevel Prabakar v Secretary for Security (2004) 7 HKCFAR 187 (“Prabakar”) and the Court of First Instance (“CFI”) decision in FB & Ors v Director of Immigration and Secretary for Security (HCAL 51/2007) (“FB & Ors”). The CFA in Prabakar made clear that high standards of fairness applied to the assessment of claims for protection under the Convention Against Torture (the “CAT”) and that the DOI could not rely on decisions made by the UNHCR as determinative of a claim but had to conduct an independent assessment of each torture claim. failure to provide for an oral hearing and representation at an oral hearing. The Court also clarified that no “magic words” are required to trigger the duty to assess risk of torture so long as sufficient information is provided to indicate a danger or risk that may fall within the meaning of CAT.1 Importantly, the cases of Prabakar, FB & Ors, Ubamaka and C & Ors enabled the courts to clarify the law in regard to the duties of the DOI for persons claiming non-refoulement protection prior to their removal. On 2 July 2013, the Hong Kong Secretary for Security announced that the Government would be assessing claims for non-refoulement protection inclusive of torture, cruel, inhuman or degrading treatment or punishment and/or persecution under a USM. On 7 February 2014, the Government announced that the USM would commence on 3 March 2014 to determine claims for non-refoulement protection against expulsion, return or extradition from Hong Kong. The USM will operate as an administrative procedure tagged on to the existing CAT screening mechanism under the Immigration (Amendment) Ordinance. The Government will not introduce new or amended legislation to deal with its expanded non-refoulement protection obligations at this time in order, inter alia, to develop “experience” in assessing refugee of cruel, inhuman or degrading treatment or punishment claims. To allow the Torture Claims Appeal Board to consider appeals/petitions lodged by aggrieved claimants in one go, the Chief Executive delegated his authority under Basic Law Art.48(13) to handle petitions in regard to grounds other than torture risks. The Government recognised that the decision-makers (immigration officers and Torture Claim Appeal Board members) as well as the joint profession will require further training on cruel, inhuman or degrading treatment or punishment and persecution claims. Persons claiming non-refoulement protection and requesting assessment under the USM will be eligible for publicly-funded legal representation in the course of USM screening. Refugee status determination by the UNHCR recognising persons who are refugees will stand and the Government will not re-assess UNHCR-recognised refugees. Persons whose claims for protection with the UNHCR were rejected may have their claims assessed under the USM; however, weight will be given to UNHCR determinations. For years, the Joint Legal Profession and experts in the field strongly recommended creating a legislative framework for a unified assessment of non-refoulement claims. Though we are progressing (if the USM operates fairly), it is regrettable that the USM only came about as a reaction to the recent CFA judgments. As a result of the Government’s reactive approach and years of delay, there is currently a backlog of cases by claimants, who suffer from restrictions including not being allowed to work. The Hong Kong Bar Association (the “Bar”) joined with the Law Society of Hong Kong (the “Law Society”) to call for the USM to be established by legislation. The Bar outlined a number of concerns arising from the blending of a statutory scheme for CAT and an administrative scheme for cruel, inhuman or degrading treatment or punishment and persecution claims. These concerns included administrative fairness problems arising for transitional claims (ie, those already decided under CAT and starting again under the USM). the lack of disclosure of field reports carried out by the DOI to obtain Country of Origin Information (as disclosure is required to ensure consistency with the “joint endeavour” approach to assessing claims). The Government has indicated that it will give “weight to determination conducted by the UNHCR, if any” with respect to non-refoulement assessments under the USM. This is despite the fact that many claimants may have their claims assessed by the UNHCR without the benefit of legal representation. As implied in the judgment in C & Ors and as the Joint Profession has previously noted, the refugee status determination process employed by the UNHCR would not meet the high standards of fairness required by the Courts in Hong Kong and would likely be declared unlawful if subject to the scrutiny of the Hong Kong Judiciary. Little weight can be given to materials gleaned from an unfair assessment practice by the UNHCR, where the claimant has no legal representation or access to his/her UNHCR file. the necessity for ongoing training of decision-makers and lawyers. These concerns will be explored further below. The legal profession has expressed serious concern that the USM Guidelines as well as other operational details were not properly scrutinised by either the legal profession or legislators or other experts. In a submission dated 14 February 2014, the Bar noted that the Security Bureau “never consulted the legal profession on the operational details of the USM,” indicating that it found this situation “highly unsatisfactory,” as it “left significant changes and proposals uncommented[. ]” As a result, the fair implementation of the system continues to be inhibited. Presently, no decisions of Torture Claims Appeal Board are made available to the public and/or legal profession by the Government and/or the Torture Claims Appeal Board office. Notwithstanding the lack of publication of Torture Claims Appeal Board decisions, the DOI as the Respondent in every appeal will have knowledge of and/or access to all prior decisions of Torture Claims Appeal Board. This incongruity is unfair and presumptively prejudicial to Appellants given that the DOI has reference to and/or experiential knowledge of past determinations and factors considered by the Board. In many jurisdictions, including the UK, Canada and Australia, refugee tribunal decisions are published, with necessary redactions to protect the identity of the claimant. The purpose of the publication of decisions is multi-fold and includes: increasing transparency in decision-making; promoting consistency in the application of legal principles and tests applicable to non-refoulement claim determination; and encouraging high quality, fair and well-reasoned decisions. I understand that the Chairperson of the Torture Claims Appeal Board is considering the matter of publication of decisions but there appears to be no progress to date. There are also concerns with the lack of transparency in the medical examination procedures/practices under the current screening mechanism. Information pertaining to the arrangements for medical examinations by the DOI with the Hong Kong Department of Health, the Hospital Authority and the number of practitioners involved are not publicly available. Nor is information publicly available about the training procedures for medical practitioners who conduct the medical examinations of claimants. This can result in important practical implications for the conduct of individual cases. Clearly, the training quality and number of medical examiners has a direct bearing on the timeliness and quality of the medical report issued. The Administration has acknowledged that training will be required for decision-makers assessing claims for non-refoulement protection, including cruel, inhuman or degrading treatment or punishment and persecution under the USM. The importance of training the decision-makers cannot be emphasised enough. The legal threshold for persecution requires an inherently different approach from the test under CAT. 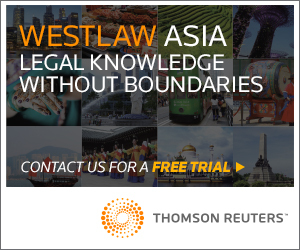 Guidance may be obtained from approaches adopted in other common law jurisdictions; however, even here there is a certain amount of variation in decision-making. The evaluation of cruel, inhuman or degrading treatment or punishment claims is an under-developed area in other jurisdictions and may provide only limited guidance. Judicial training will also be required given that this is a newly-emerging area of law and practice in Hong Kong and there is a dearth in local case law in regard to refugee and cruel, inhuman or degrading treatment or punishment law. 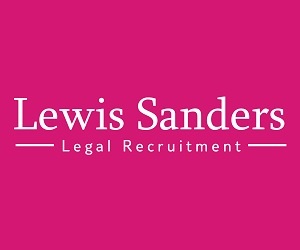 Some of the most significant cases relating to screening to date include, TK v Michael Jenkins, Esq  1 HKC 526 CA (and the CFI judgment HCAL 126/2010, 21 October 2011) which was concerned with the burden and standard of proof in the context of internal relocation and the “shared burden” concept. In the case of AM v DOI and William Lam, HCAL 102/2012 (29 November 2013) Justice McWalters was critical of the decision-making in that there were irrational findings by the adjudicator, inadequate analysis of country conditions (cherry-picking), and a misapplication of the extended concept of state acquiescence. More recently, the Court of Appeal in the case of ST v Betty Kwan & DOI (CACV 115/2013, 26 June 2014) set out detailed guidance to the adjudicators with respect to oral hearings with the appellant successfully overturning the judgment of the CFI. Given the concerns expressed above, and in particular the way in which the present system has been cobbled together as a piecemeal reaction to litigation, the unfortunate reality is that an undue burden has been placed on the courts to provide guidance and overturn flawed decision-making by the DOI, the Torture Claims Appeal Board or Adjudicators. Already, and coinciding with an increasing number of CAT cases coming to decisions, a recent study has shown that the “proportion of cases granted leave to launch judicial review hit all-time low last year despite a ten-year high of applications” (SCMP c4, 10 April 2014, Samuel Chan). Thus, given the increasing reluctance to grant leave to applicants, the worrisomely low success rate, and the delays in getting cases into the overburdened courts, questions and concerns remain about the fairness of the USM. 1. 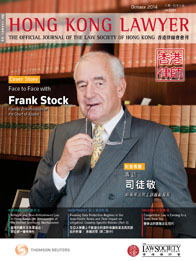 For further analysis of the development of refugee and CAT law in Hong Kong, see Mark Daly’s articles in “Refugee and CAT law in Hong Kong: An Update” (Hong Kong Lawyer, October 2012) ; and “Refugee law in Hong Kong: building the legal infrastructure” (Hong Kong Lawyer, September 2009).